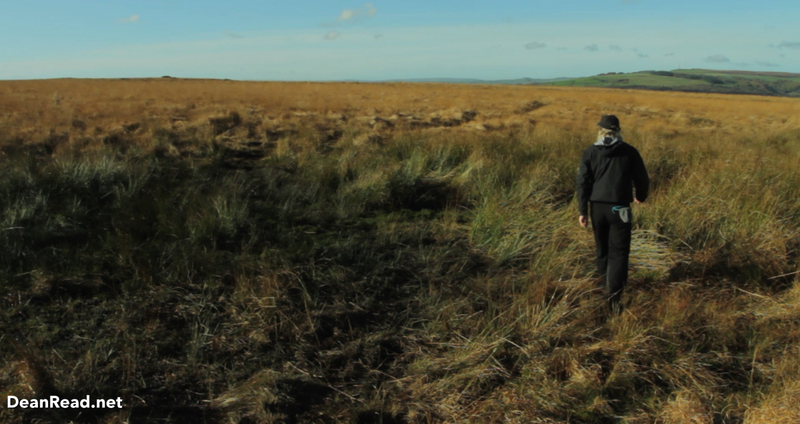 In this video my friend Ray and I head out for a short walk on the eastern moors of the Derbyshire Peak District. We walk via Birchen and White Edge to big Moor to watch the Stags, then head back to Robin Hood via Curbar, Baslow and Gardoms Edges. 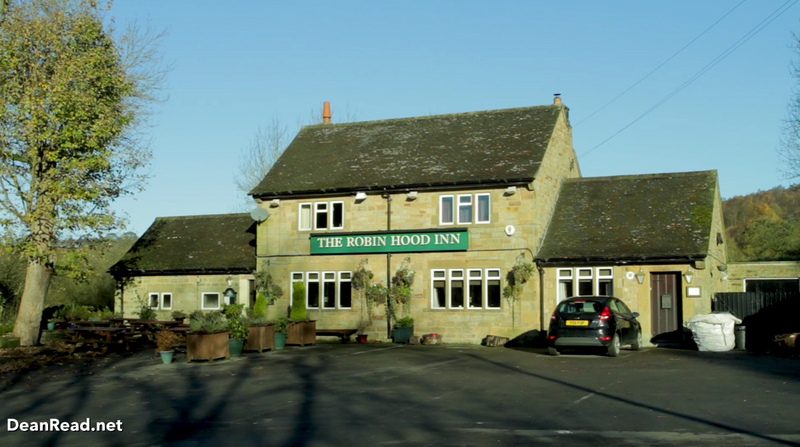 We started today’s walk from the car park next to the Robin Hood Inn, I enjoy starting here as by doing so you have the reward of food and drink on your return. It’s perhaps the first Peak District walking area to the west of Chesterfield so it can be very busy at a weekends, thankfully today however we managed to get parked up and on our way early to avoid the crowds. The first initial climb up on to Birchen Edge is short, sharp but sweet as you gain quickly. 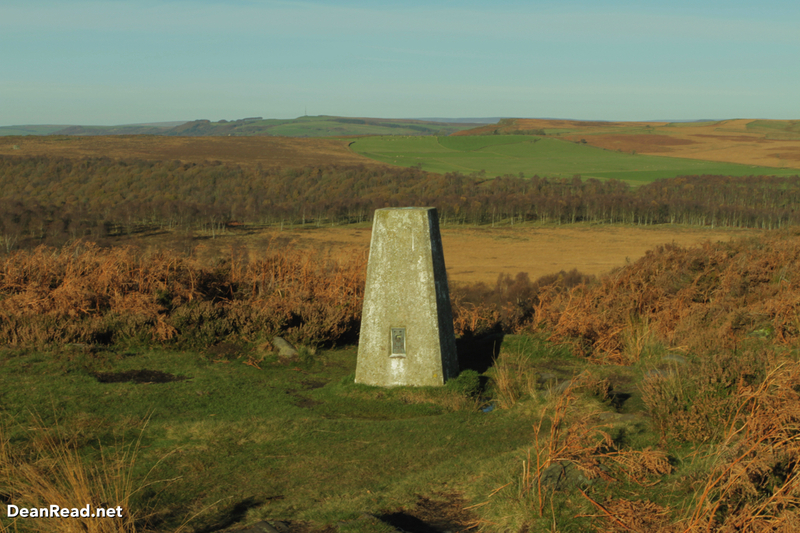 The views from the top open up nicely and you are rewarded with great views of the surrounding moors as you head north towards Nelson’s Monument. 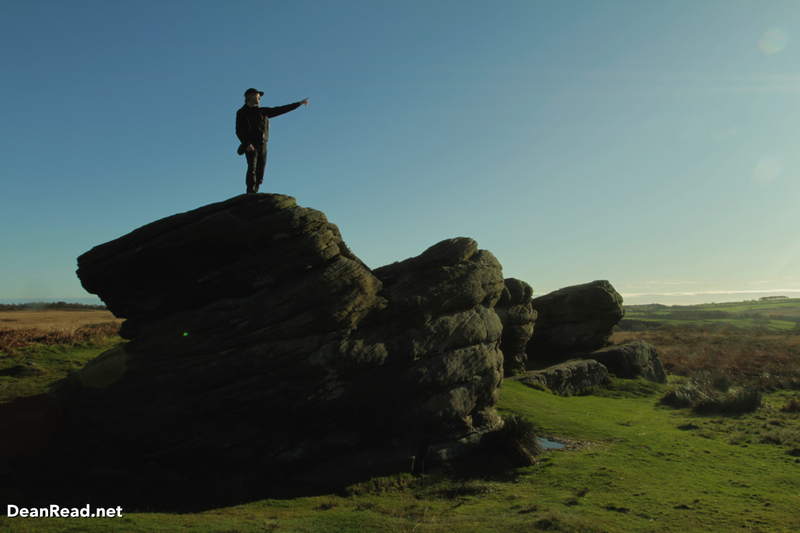 Nelson’s Monument stands on Birchen Edge and was erected in 1810 to commemorate the battle of Trafalgar. Standing nearby are 3 large gritstone shapes that are known as the “Three Ships”, carved into them are the names of 3 of the ships in Nelson’s fleet during the battle, HMS Victory, Defiance and Royal Sovereign – spelled Soverin. 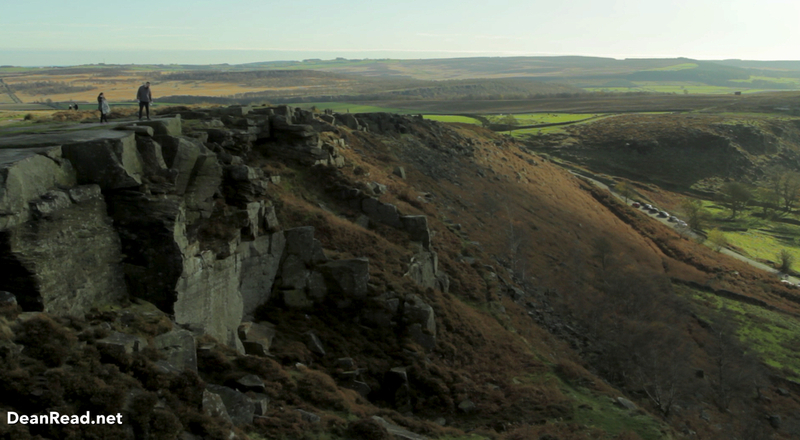 Back in early 2013 I ventured up to Birchen Edge to make a short time-lapse film and you can watch that below. After leaving Nelson’s Monument we passed the trig point before dropping off the edge and crossing the rather boggy path towards the A621. 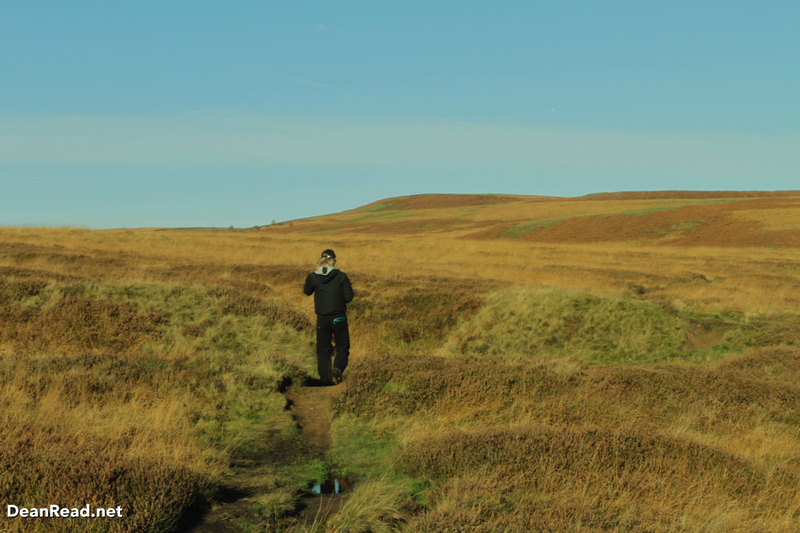 We crossed the road and rejoined the path to take us up towards White Edge. Ray and I have done this particular route many times over the years and I’d been meaning to head back armed with my Canon DSLR for some time. 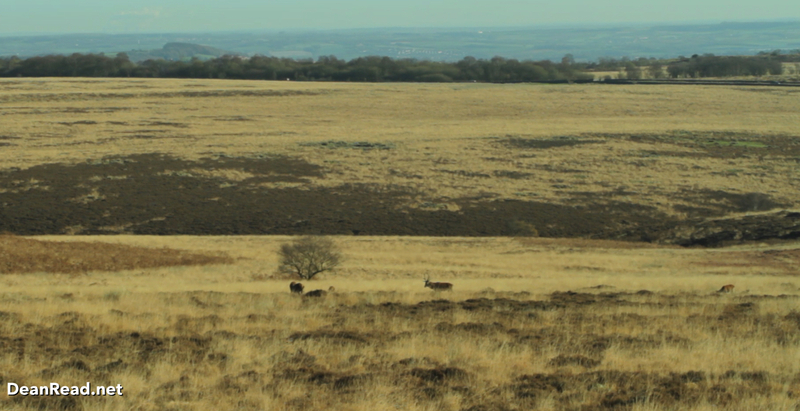 Autumn is mating season for the deer and the stags engage in fierce battles during the Rut. I enjoy watching and listening from afar but this time I decided to bring my telephoto lens to see if I could get any pictures. Sadly for us the deer were out in the middle of Big Moor and as its rutting season it’s not advised to get anywhere near the Stags, disturbing a beast of that size wouldn’t go down well. So after 45 minutes of watching the deer we made our way westward over the rather boggy moorland towards Curbar Edge… another hotspot that can be rather busy at weekends. 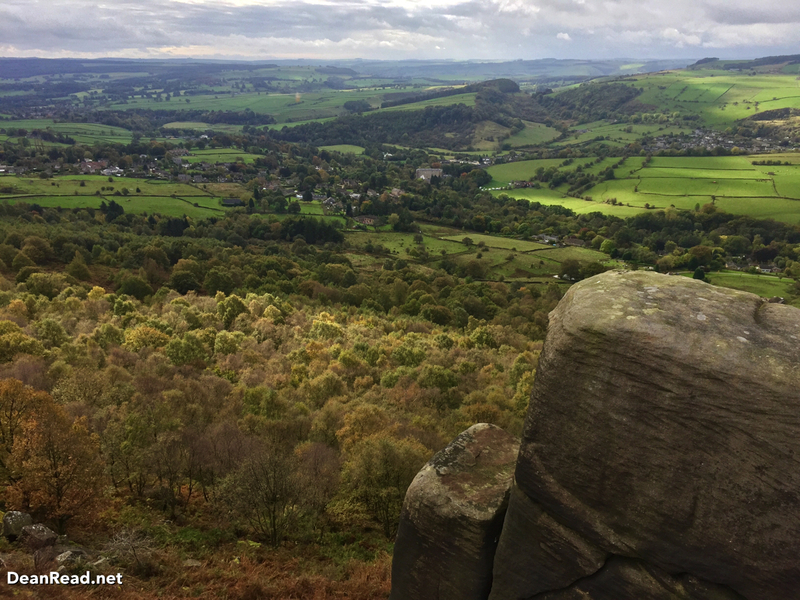 It’s not very hard to see why Curbar, Baslow and Frogatt edges draw in the crowds, the views are absolutely spectacular and parking is available nearby. Curbar is a favourite lunch break spot for my family and I when we walk in the area and we enjoy nothing more than sitting on the edge and watching world go by. No time to sit and stare today however as we were on a strict time limit. 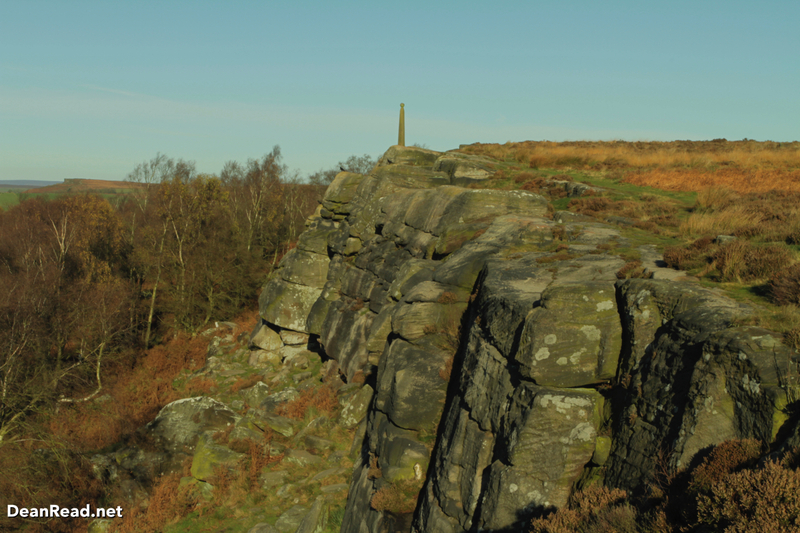 After walking in a southerly direction along Curbar Edge we crossed over the road at Curber Gap to continue along Baslow Edge. 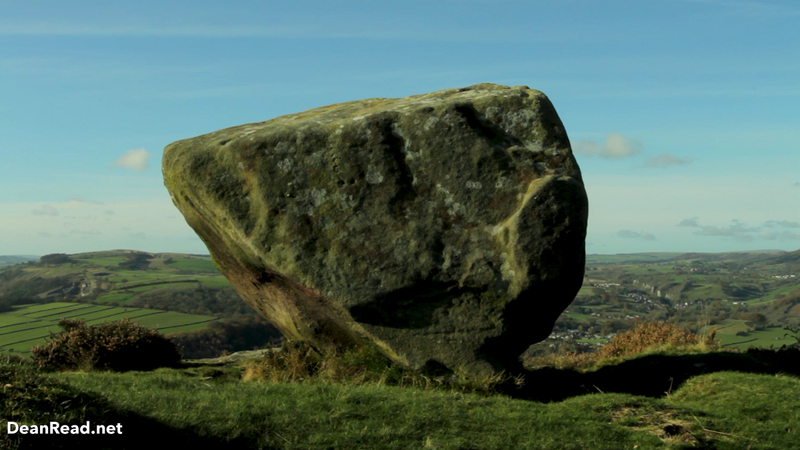 The Anvil Stone is a famous landmark along Baslow Edge and is a favourite of Peak District photographers as it is easily accessible. 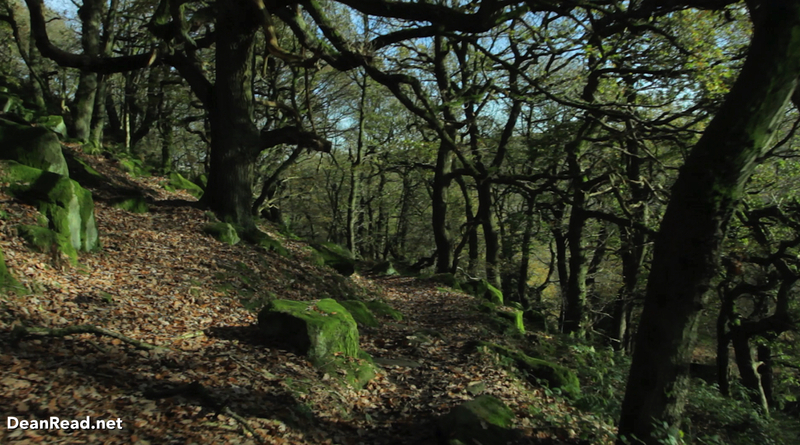 After Baslow Edge the route then descends into the woodland which is looking spectacular at this time of year in its autumn colours. 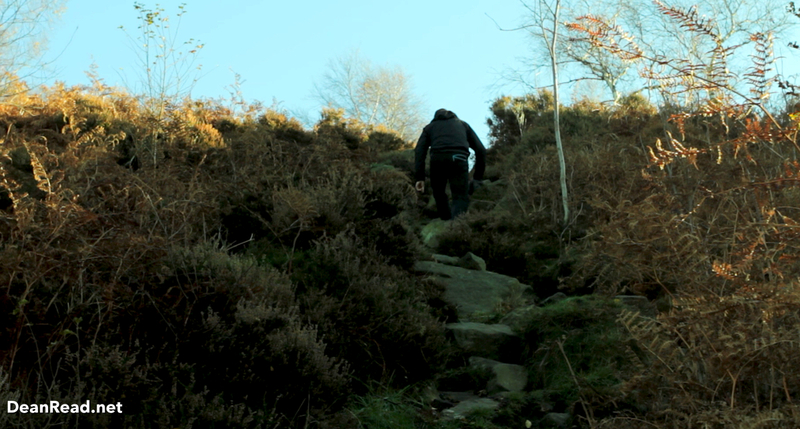 You gradually drop in to the valley, cross over the A621 before climbing up and over Gardoms Edge. After Gardoms Edge it’s a very short walk back to the carpark at Robin Hood and you can then claim your reward of food and drink at the Inn… I went for coffee on this particular occasion. As always thanks for reading and watching. 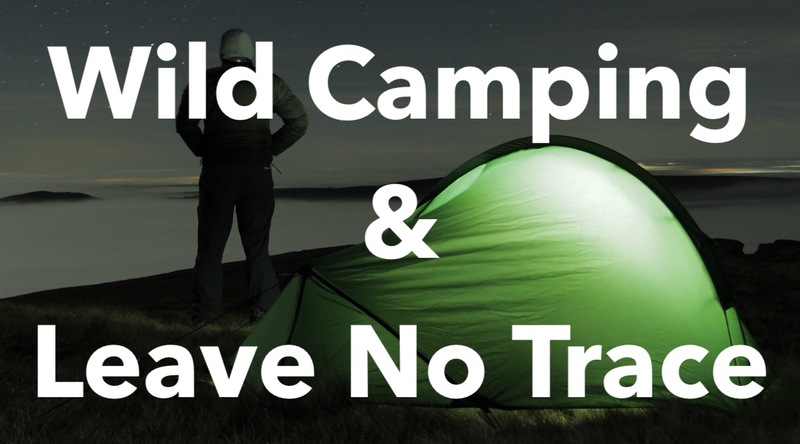 This particular route is a firm favourite of ours and it can be done easily if you have 3 or 4 hours spare and need to get some moorland time. 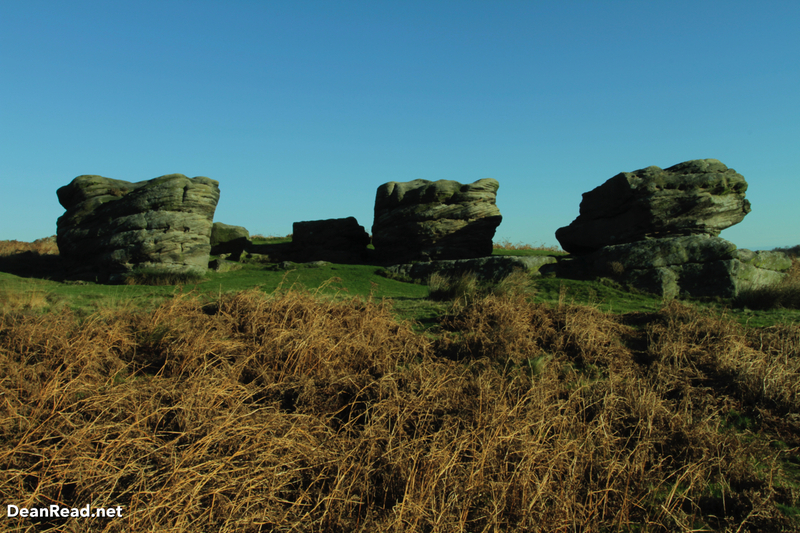 This area in the Peaks is perhaps the closest bit of ‘Edgy’ Gritstone to where we live so I really enjoy coming back here to get my fix of views and fresh air. If you would like to do the walk yourself you can follow my route via the map on the ViewRanger website or by downloading the GPX File. As it’s autumn I couldn’t resist doing a short remix of ‘Forever Autumn’ from the War of the Worlds album by Jeff Wayne, check out the track on Soundcloud or listen below. All music by Dean Read. Footage shot with a Canon 7D with a 17-40mm lens, a 70-200mm lens and it was edited in iMovie.